National Reconciliation Week + Scootle Survey + Name the Icebreaker! Each year, National Reconciliation Week (27 May – 3 June) celebrates and builds on the respectful relationships shared by Aboriginal and Torres Strait Islander people and other Australians. The week is bookended by two important anniversaries: 27 May, when the 1967 Referendum was carried; and 3 June, the historic High Court Mabo judgement. This year those dates are especially significant being the 50th anniversary of the Referendum and the 25th of the Mabo decision. 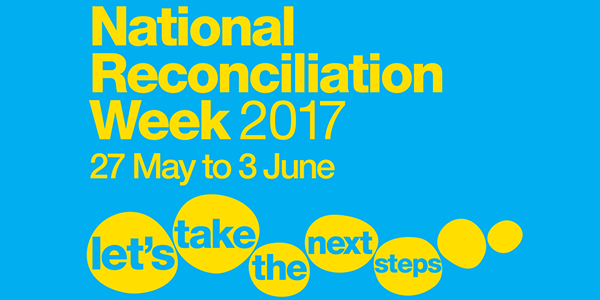 The theme for National Reconciliation Week 2017, Let’s take the next steps, reflects on these two momentous events and invites all Australians to join together in the next stage of our nation’s reconciliation story. As we look to create or attend events during National Reconciliation Week, it is important to reflect on our shared histories and how we can all contribute to reconciliation. This can take the shape of a conversation with students, families or other teachers and staff in your school or early learning service, or a mural that illustrates the next steps for you and your students in the form of a painted footprint next to a written commitment. 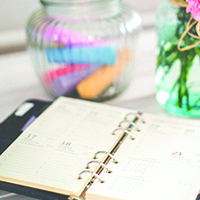 What is so powerful about having a national week of celebration, reflection and activities, is that it generates opportunities and highlights potential for it to move beyond these seven days each year. Reconciliation is a long and often difficult journey to embark on, but it is an important one. It demands patience, openness and a willingness to learn and grow together, and the rewards far outweigh the ‘difficult times’. Together we can take the next steps! There are some great resources in Scootle to support National Reconciliation Week in your school. To make them easier to find, we've created a Learning Path in Scootle. New resources added to Scootle include: more resources from the Digital Technologies Hub; new additions from ASIC's MoneySmart series to support financial literacy development within the primary, secondary and VET curriculums; local history finds from the ACT Archives; Cotton Australia posters, and resources exploring Aboriginal and Torres Strait Islander histories. Complete the survey and go in the draw to win a $300 store voucher. Tell us what features or resources you value most in Scootle and what you'd like to see improve. This information will help us make improvements to the portal and prioritise future upgrades. This survey is only open to registered Scootle users. It should only take you five minutes and your responses will be treated confidentially. You can only take the survey once, but you can edit your advice until the survey closes on 25 May 2017. The Australian Antarctic Division wants Australian students to Name our Icebreaker! Classes from years 5–8 are invited to enter a competition to name the new state-of-the-art ship. Australian Curriculum-aligned modules to support teachers as well as other competition details can be found on their website. Find out how a visual programming language, where a program is represented and manipulated graphically, helps students develop skills such as problem-solving, logic and critical thinking. Use the digital technologies topics pages to learn more about a particular topic, get ideas on how to teach the topic, find out what other schools are doing, and use the applications and game suggestions in your classroom. For secondary students check out our topic on general purpose programming. View all of the available topics on the Digital Technologies Hub. The Digital Technologies Hub team presents a new webinar each month on a topical theme that will help you increase your content knowledge and build on your repertoire of effective approaches to implement the digital technologies concepts. All of the previous webinars are available to view on the Digital Technologies Hub professional learning section. 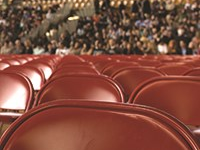 Eduhub is an innovative online resource developed by The Australian Ballet. 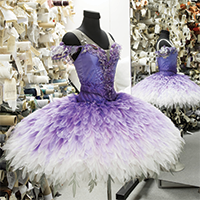 Eduhub provides easily accessible resources built around the works of The Australian Ballet, and is designed for school teachers and students of all levels. It offers videos, pictures and interviews, and discusses many of the elements of ballet including costume design, music and narrative themes. Eduhub complements The Australian Ballet Education Workshops and is supported by teacher professional development. It provides ideas that link to the Australian Curriculum, and is available for specialist and generalist school teachers alike. These suggestions and tools will help your students select school subjects that match their career, education and training ambitions. Ongoing research indicates that the presence of teacher librarians leads to improved learning outcomes. Kay Oddone highlights the many benefits teacher librarians can bring to the wider school, and why their role is integral to the learning of both students and staff. Laura Fleming writes that before you consider a full library renovation, you should consider how transforming your library’s culture could significantly change the way your library is used. Are you interested in whole-school community wellbeing and safety?